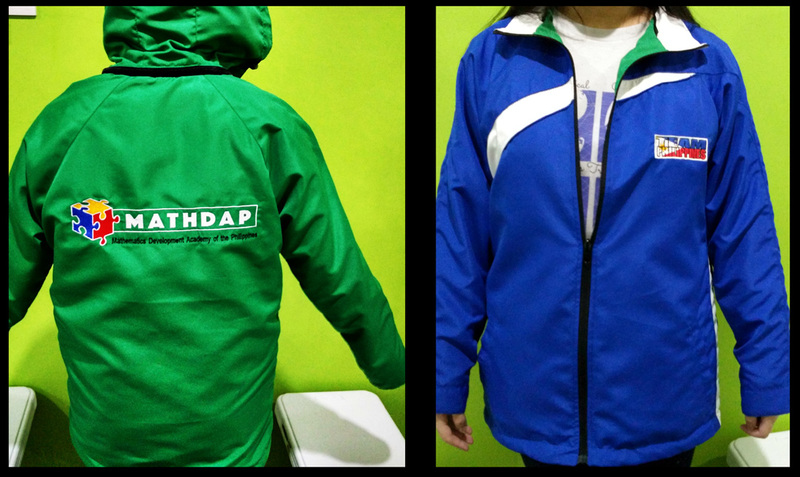 Good News…the MathDAP challengers have their jacket now!!! Finally, the MathDAP challengers can avail of their cool and cozy jacket designed by our supportive parents. Unlike any jacket you own, you can choose from 2 interchangeable features that will help you brave the cold and survive the heat. The new reversible jacket exclusively for the MathDAP challengers shall be used for international mathematics competitions abroad. In other words, our MathDAP challengers will have two completely different jacket designs sewn together to make one amazing reversible jacket. With their number prowess, the MathDAP challengers deserve to get a NEW LOOK to STANDOUT as they represent the Philippines in the international math contests. For inquiries and orders, please send email to [email protected], an auto response will lead you to the ordering site. For other concerns you may contact Mrs. Violy Reyes at 935 3530 or 0922 814 9848.